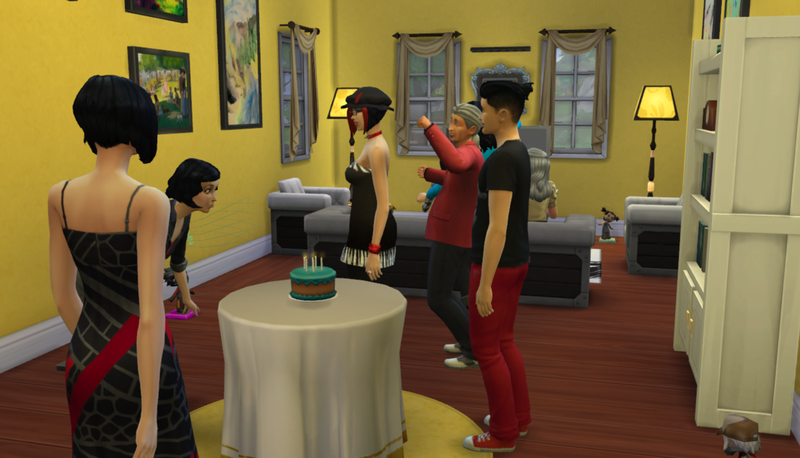 Aya moves back in, Nade becomes an elder, and Natsuki is mortified (for different reasons than the aforementioned). 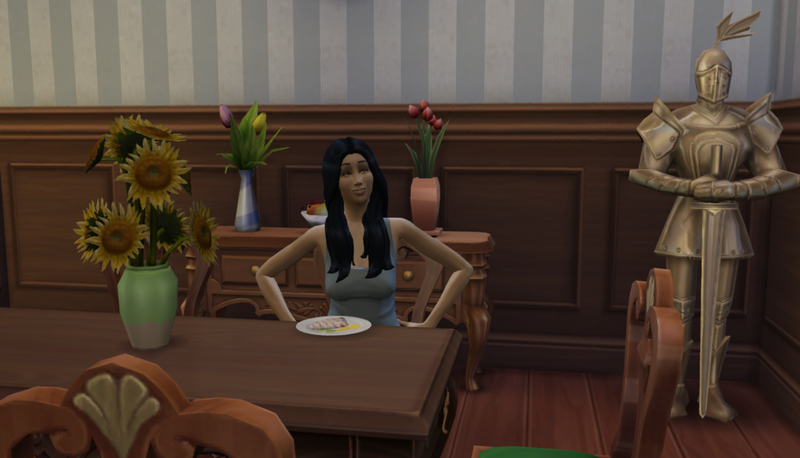 Back at the Ikeda homestead, Aya took no time to earn back her old stomping ground. Lea was still a C student and there was no way that Ms Perfect herself was going to let her daughter stay that way. Nose to the grindstone, girl. Great Aunt Aya was a nice addition to the household but with four teenagers in the house, homework time could sometimes get a bit heated. She preferred to just let things play out rather than intervene. When I made the choice to keep Aya’s hair dark, I didn’t realize how young she would look. Several times I thought, “Is this a glitch? Did she actually de-age? !” Nope, she’s still an elder! I couldn’t help myself, though. I wanted her to stick around. So, youth potion it was! With that out of the way, I could relax a little rather than wait in agony for Aya to kick it. 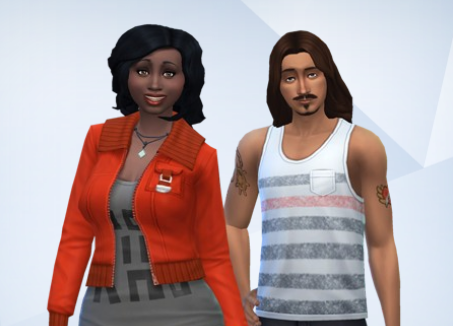 Afterall, I had other Sims to watch out for. Masumi, the evil youngest of Gen 8, had some work to do with her grades. Mamo, on the other hand, usually got through his homework pretty quickly. Note how he taunts his little sister with his delicious breakfast of potato chips while she slaves away. What a jerk. 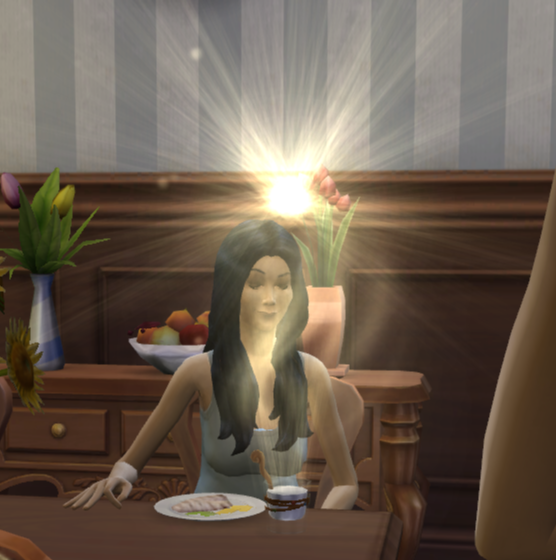 Moving ahead, it was time for 7th Gen Heir, Nadeshiko, to age into an elder. 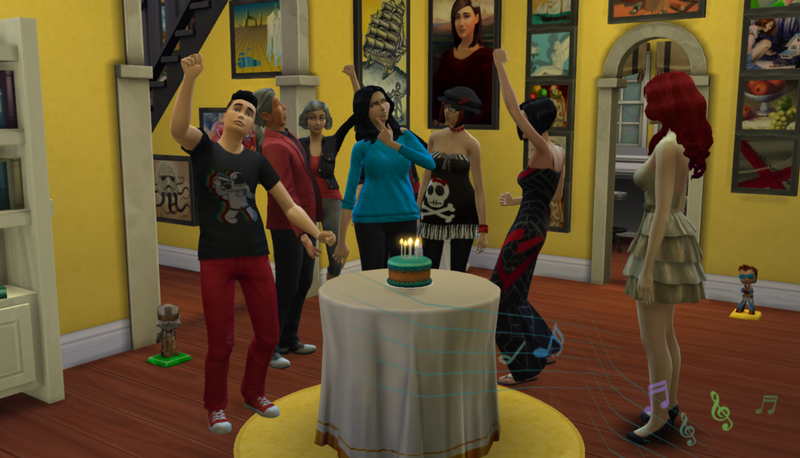 It was Natsuki’s young adult birthday as well so they threw a joint birthday party. 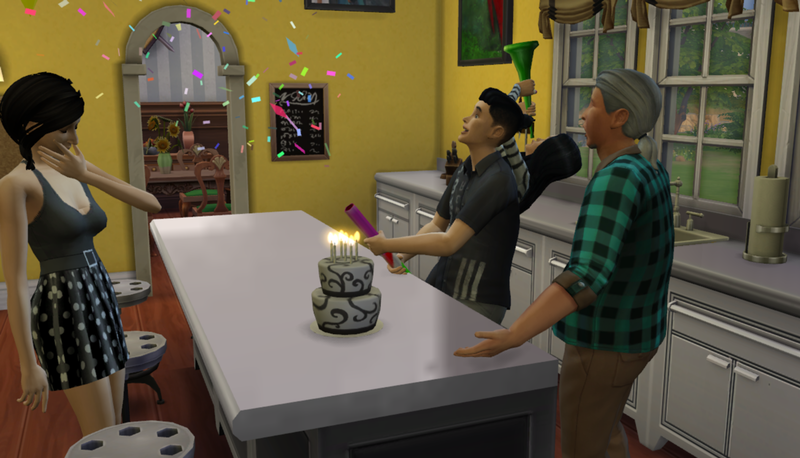 For some reason the ghosts showed up pretty early into the party and I wanted to share this because I don’t recall seeing it before. 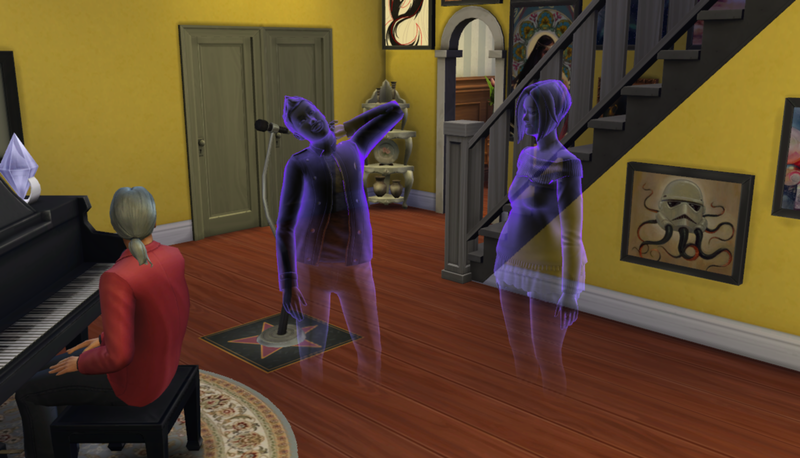 Misaki (our Legacy Founder) and her husband, Jung, were autonomously flirting as ghosts! Adorable! I love it! Back to the party! Nade went first and aged up! I thought I had a better picture but my finger must have slipped so here you go! Then it was Nat’s turn! She celebrated by inviting over her boo, Bailey. 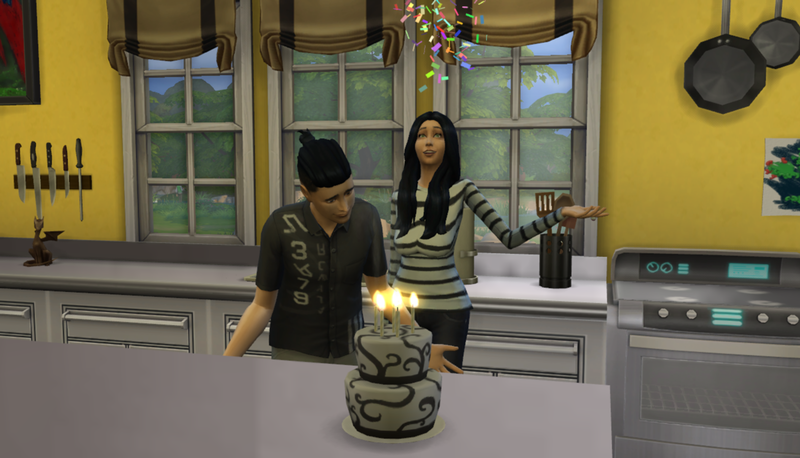 He was pretty happy to see that she had aged up. 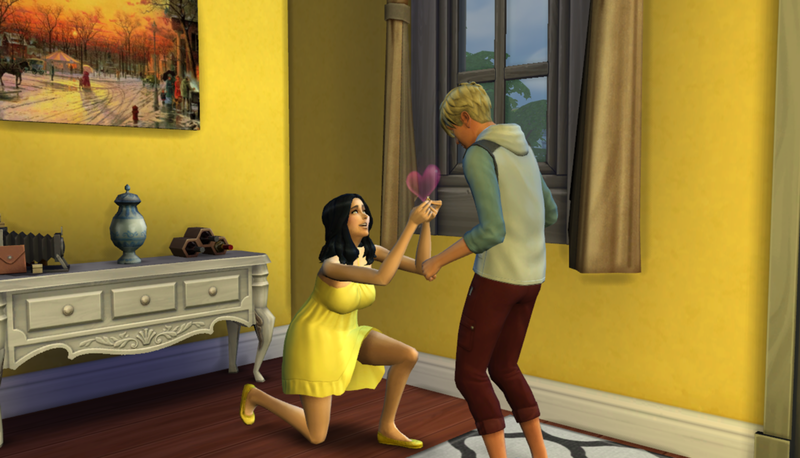 UNFORTUNATELY he wasn’t happy enough to say yes to her. Maybe things were moving a little too fast for this dude. Now I’ve been here before. Gen 2. Meilin. Our beautiful first heir apparent. Dropped DEAD from embarrassment. I was not going to have that again. Natsuki needed to talk herself down in a mirror so I sent her to the basement bathroom. HER BROTHER PICKED THE VERY SAME BATHROOM TO SHOWER IN AND HE BEAT HER THERE. SHE WALKED IN ON HIM NEAR THE END OF HIS SHOWER SO IT COUNTED. I panicked. This was it. She was so pretty and so talented and she was going to die because she was too stupid to listen to me when I cancelled her action when I figured out where she was going. AN: SERIOUS PET PEEVE. Why do they always have to travel to their destination even when it’s cancelled? I think that’s what annoys me the most about this game. JUST KIDDING, SHE MADE IT! I was so relieved. I sent her to bed to hide immediately and then she slept the remaining moodlet off. CRISIS AVERTED. Grimmy must have been busy at the gym or something. 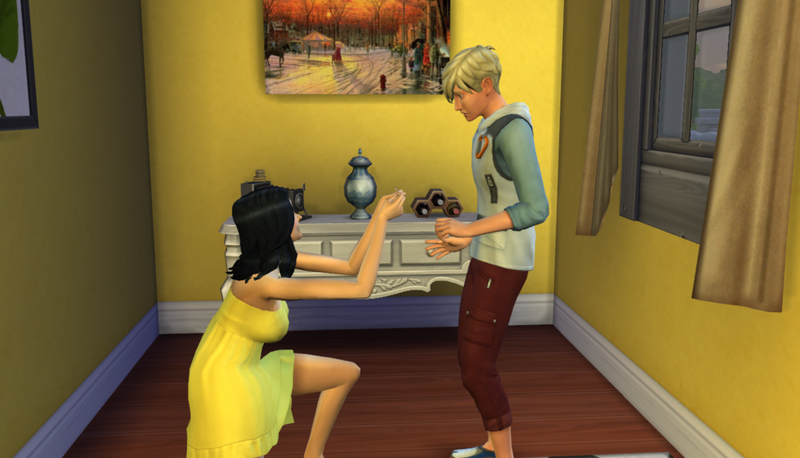 To end on a high note, Natsuki tried again with Bailey the next day. He was in much better spirits even though she told him off for turning her down the night before. 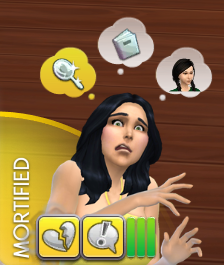 Nat, you’ve GOT to stop yelling at your loved ones! 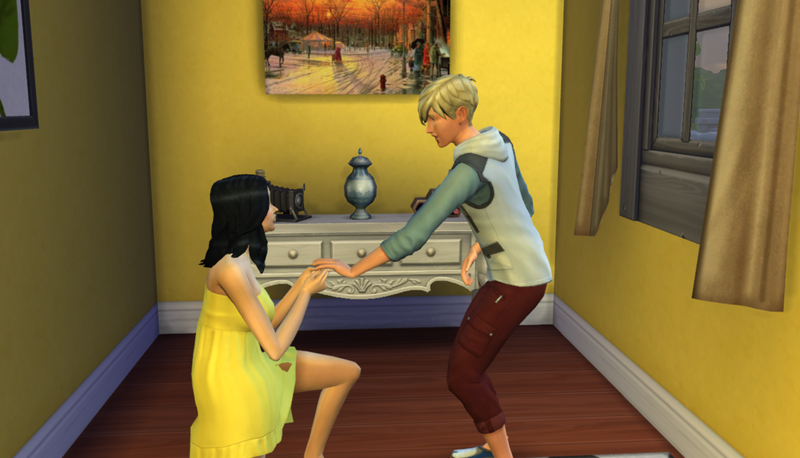 This time he said yes! PHEW! All this talk about grown up things had Mamo contemplating his own life. He supposed it was time for him to become a young adult as well. Trusty Great Aunt Aya was there with confetti to cheer him on. While we were at it, Lea decided to age up as well! More confetti! 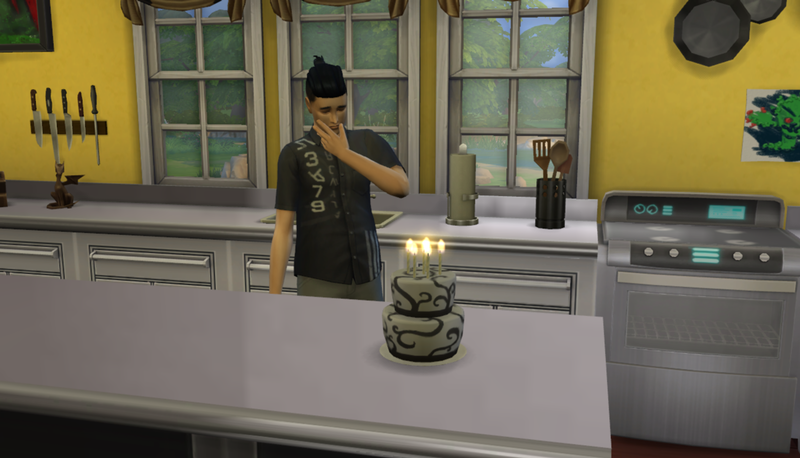 I know a lot of simmers don’t like that word but I’m fine with it. I’m up for the fun challenge it brings. And, I mean, if he’s going to become an astronaut I think he needs to have some guts. He’s got them!